My recent think piece for The Conversation analyzing how the People’s Climate Movement used social media in the lead-up to the April 29 People’s Climate March in Washington, D.C., with “sister” marches around the country and internationally, has been republished in more than 40 news outlets. Many of them are local newspapers, as well as the International Business Times and Salon. 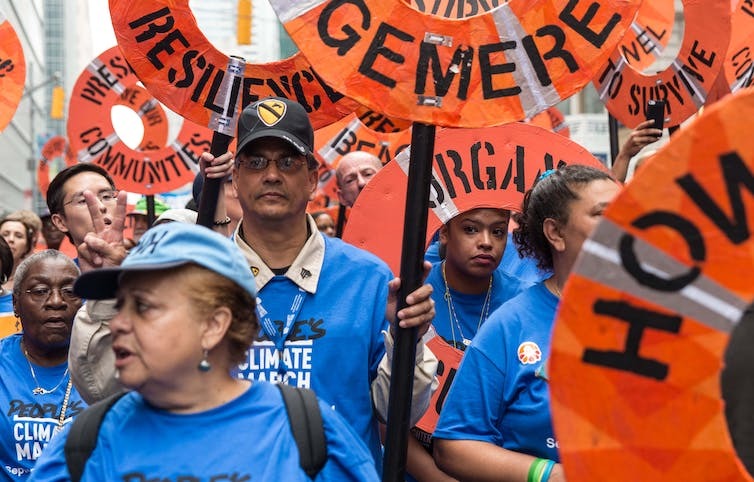 The original article, “To have impact, the People’s Climate March needs to reach beyond activists,” is available from The Conversation here. The article was published by news outlets based in at least 18 states: Arizona, California, Idaho, Iowa, Illinois, Indiana, Kentucky, Oregon, Pennsylvania, Montana, Nebraska, New York, North Dakota, South Dakota, Texas, Utah, Wisconsin and Wyoming. In addition, as a long-time fan of journalist Bill Moyers I was flattered to find that my analysis was included in a daily round up from his media project BillMoyers.com, “Daily Reads: Climate Marchers Descend on DC; Majority of House Dems Support ‘Medicare-for-All'” on April 28.